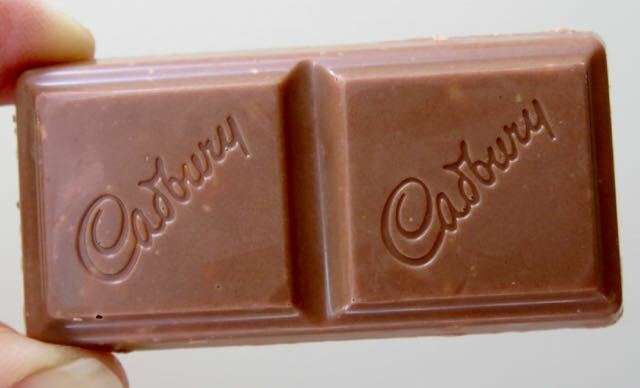 Welcome to Day #4 of Cadbury Chocolate Theme Week. 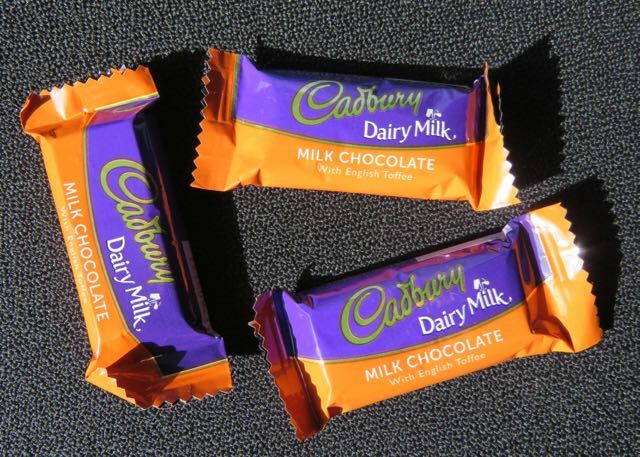 Today's Cadbury chocolates were individually-wrapped Dairy Milk English Toffee miniature "bars" (from Mondelez International/U.K. ), distributed by The Hershey Company (Hershey, PA). These two-square rectangles of milk chocolate, packaged for portability and convenience, contained a relatively low percent of cocoa solids. 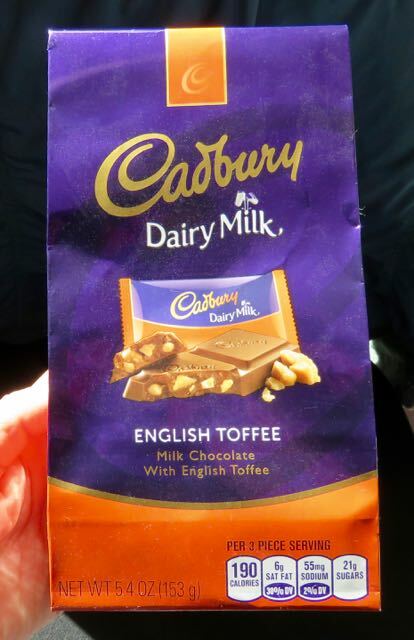 However, the bits of English toffee (with almonds and salt) embedded in the chocolate were rich enough to lift the tasting experience.